Lady Eleanor Furneaux Smith (1902-1945) was an English author, journalist and film critic. Many of her books, including her extensive oeuvre of ghost stories, involve a circus or gypsy setting, based on her own research and her (unsubstantiated) belief that she had a Romany great grandmother. 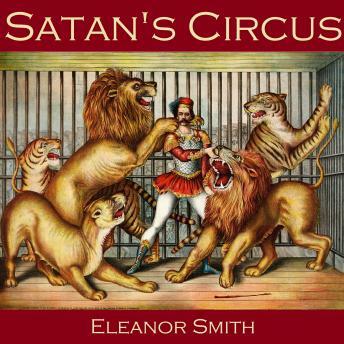 Satan's Circus is a creepy tale of a circus run by a sinister and manipulative couple, Carl and Lya Brandt. When a new circus hand, Anatole, joins the troupe in North Africa, he is assigned to work with the menagerie. But as they travel through Spain towards France, Anatole becomes uneasy. Eventually, as they reach the Basque country, he tries to hand in his notice. But Lya Brandt has guessed his secret, and she uses blackmail to prevent his leaving...and then exacts her grisly revenge for his disloyalty.